Right now I have a handful of prints hanging in our living room on a line with clothespins, but I think I'd like to switch it up soon. I like the look of clipboards all in a row, but I don't have a ton of room (or all that many prints!). What's your favorite way to display prints? That's a pretty cute way to display your prints. 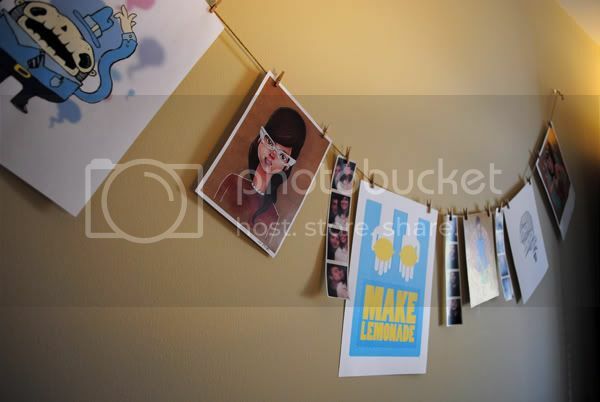 I am a fan of putting the prints just in a matte and then hanging them up. So cute! I love the clipboard look personally. I love it! This inspires me to do something like this myself! I love these! So unique, but they all seem to go together well. 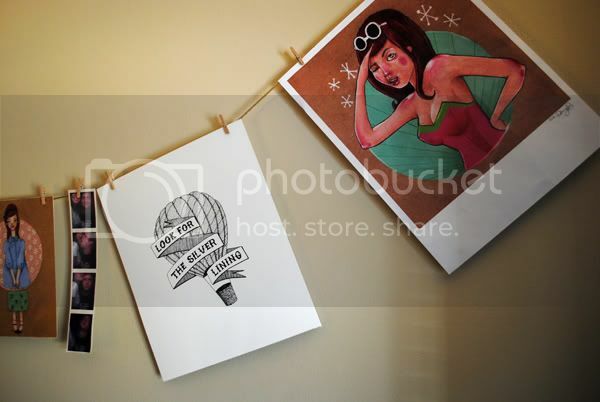 I have the hot air balloon one on my etsy favorites! I like mismatched frames arranged in a cluster. I never seem to cluster as well as other people though. Good luck! Ah, I always have trouble figuring out how to display my prints. I keep ordering them and they just sit in a stack in my room. This is just the inspiration I needed to finally hang them! Gahhhh!!! I love the new design. It looks soooo great!!! I usually pin mine up after putting them in a plastic sleeve, or I put them in a notebook in plastic sleeves. Never thought of doing this, I love it though!